Are you planning a vacation? Let us make your holiday a memorable one with our top destinations for tourism. Canada is made up of over 13 different provinces and territories to explore. With one of the largest land masses in the world, you will never run out of places to discover! Just last year Canada had over 20.8 million visitors according to Statistics Canada! One of the destinations we will focus on today is the bustling city of Montreal, in the French province of Quebec. Here are three fantastic places and activities you must do during your stay. 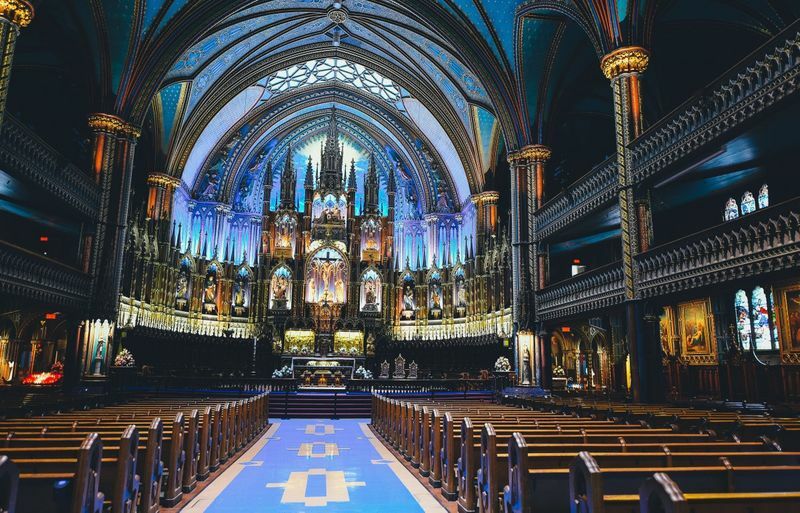 First on our list of the best tourist spots in Montreal is the Dame Basilica, located in the centre of the city. This gem of gothic architecture first built in 1672 and then rebuilt by James O’Donnell in the 18 century, houses an unspoilt beauty. The Dame Basilica can hold up to 8,000 people and has a least one million visitors wandering through its halls each year. This unique venue also hosts a variety of religious ceremonies like mass and they even have stunning choral evenings with professional choirs performances throughout the year. Since 2017, the production company Aura has been hosting stunning light shows inside the basilica’s halls that will leave you with a truly fantastic memory. You can book you tickets for the show during the year and sit back and enjoy the interplay of lights on this glowing example of gothic architecture. If you have a bit of a green finger then you should really visit the Montreal Botanical Gardens. This little garden of paradise stretches to over 185 hectares. Built in 1931 and designed by Henry Teuscher, the gardens are a centre point of culture and mother nature. The gardens are open throughout the year with indoor glasshouses to help avoid those colder winter days. The area also hosts a variety of shows, exhibitions and other events during the year like the Butterflies Go Free that occurs every February to March. Wander into the four distinct areas of these botanical gardens, like the Chinese gardens based on the Ming Dynasty with its iconic bonsai and penjing collections and the Japanese gardens that host traditional tea ceremonies during the summer and live exhibitions of art forms like Iaido and Ikebana. 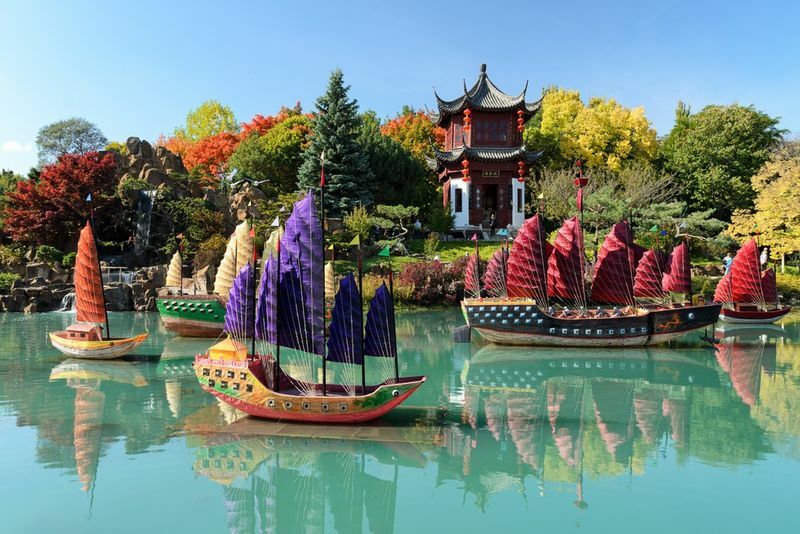 The Montreal Botanical Gardens even feature a First Nations display that features local flora, medicinal herbs and even traditional Inuit art like decorative totem poles. There is no better place to end the day than Mont Royal. 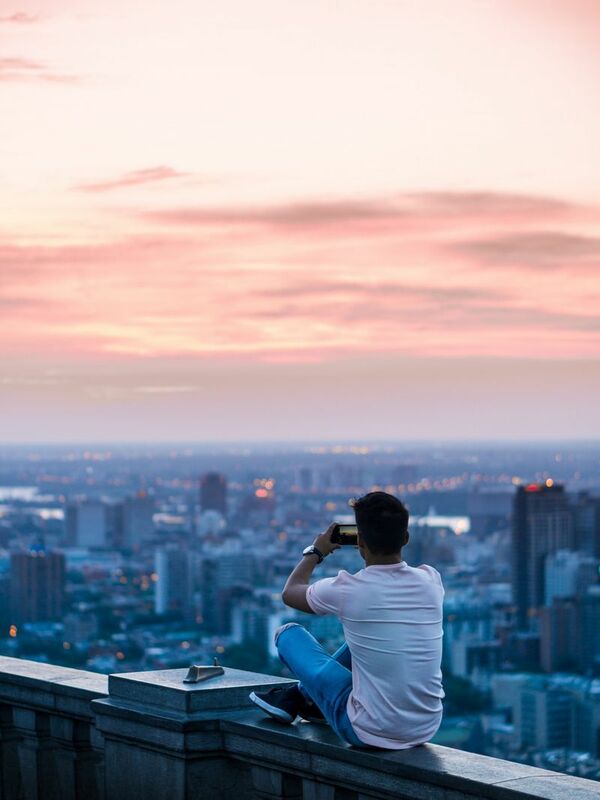 This iconic sightseeing point is located in the royal park and overlooks the entire city of Montreal. Just make sure you are fit before you decide to visit this spot, as this man built hill stands tall at a healthy 222 metres. There are various ways to get to this spectacular view, like cross country hiking during those crisp winter months and cycling. If you are not up to the climb then you can even take the bus for a hop-on-hop-off experience that will totally be worth the ride. The park itself also has a lovely little restaurant that overlooks Beaver lake. You can climb off for some delicious treats or even rent a boat from the Beaver Lake Pavilion for those warm summer days. Want to know more about the land of the maple leaf? Whether it is about the latest immigration news or learning about the Canadian lifestyle, you can learn it all right here! 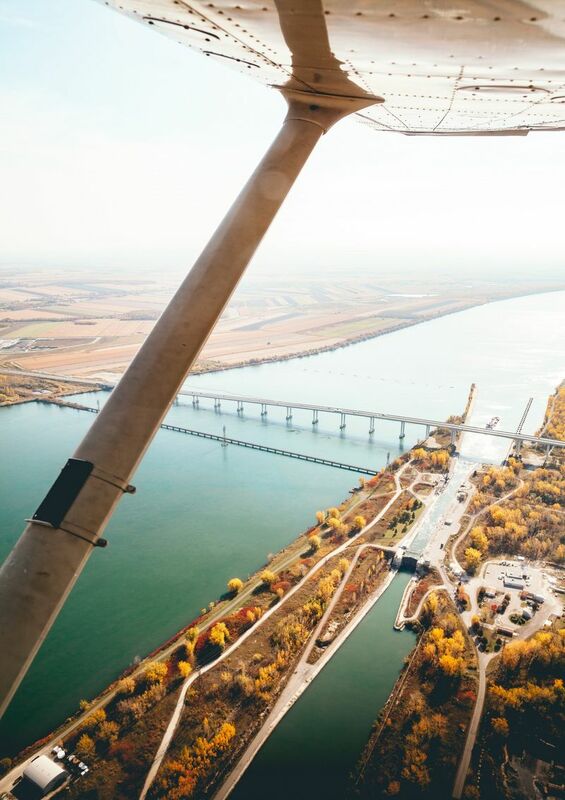 Do you want to plan a trip to Canada in the future but without the hassle of all that confusing paperwork, well now you can. Simply sign up for express tourism. Canada is waiting to be explored.